Years from now when we look back at Philly boxing 2102, the focus will be on the emergence of Danny Garcia as a world champion and budding boxing star. Without question, he had an incredible year, winning and defending titles, picking up belts and fattening his bank account. However, Garcia wasn't the only Philly fighter who had a great year. Bryant Jennings and Gabriel Rosado also had banner years. In addition to this trio, a number of other local boxers fought their way onto Philly's fistic map. Once again boxing action within the city limits was limited, as promoters searched for a venue to replace the Blue Horizon, now more than two years dead. No other locale has yet to fill the void as the backbone of Philly's boxing schedule. Instead venues just outside the city limits have picked up the slack. The nationally televised boxing series "Fight Night", on the NBC Sports Network (NBCSN), provided two big Philly cards, and gave many Philly fighters a platform on which to fight, either on TV or off, both in Philly and out. All in all, it was an interesting year of Philadelphia boxing, full of big wins, bitter disappointments, title bouts, club fights, and much, much more. So here is the 2012 wrap up. 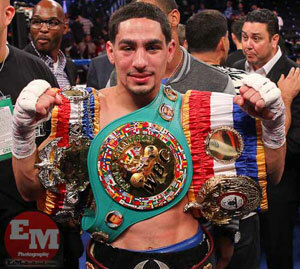 DANNY GARCIA had the biggest year in 2012. 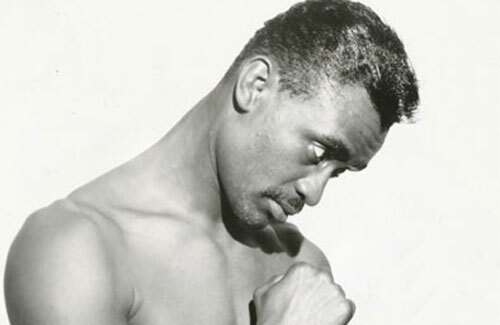 He won three fights, three titles, and emerged as a true boxing star. He is not yet in the Pound-for-Pound discussion, but his fights have been thrillers that provided fans with what they like - great action, a little blood, definitive endings, and good looking knockouts. 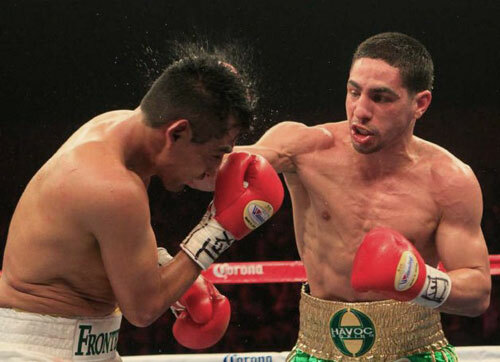 In March, Garcia won the WBC junior welterweight crown with a dominant unanimous decision over legend Erik Morales. Garcia fought his way through his first-title-fight-jitters early on to take control of the fight, drop the legendary champion, and wrap up the decision in Houston. Garcia followed up his title-winning effort with a star-making performance against Amir Khan in Las Vegas. After a slow start, Garcia fought through a badly cut eye to blast Khan out in round four. Garcia floored Khan at the end of round three and finished the job moments later. The victory was sudden, brutal and clear cut. A star was born. Garcia defended his WBC strap and picked up the WBA and Ring titles with the win. He closed his year by giving Morales a rematch to open the Barclays Center in Brooklyn, NY. Although few thought the aging former champ had a chance against the young lion from Philly, it was the way Garcia ended the fight that mattered. This time there were no jitters. He walked Morales down and took him out with a crushing Philly left hook, that spun "El Terrible" completely around, down, and into retirement. The best part about Garcia's year was that it is only the beginning. There are a number of terrific matches for him in the junior welterweight division, and above. His first fight of the year will be a return to Brooklyn for a high-profile match with former champion Zab Judah. The fight should be the first step of a very big year for Philly's only current world champ. 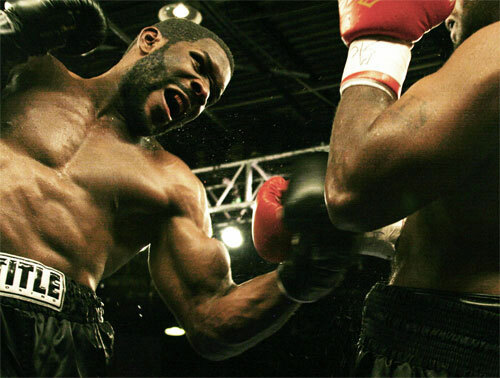 North Philly Heavyweight BRYANT JENNINGS had a year like no one else. He began 2012 as a 6-round preliminary fighter, 11-0 but nowhere near making noise in the heavyweight division. Jennings barged his way into boxing's consciousness in January by stepping into his first main event on one week's notice. The South Philly fight was also his first 10-rounder. He beat fellow-Philadelphian Maurice Byarm in a battle of unbeaten heavyweights. It was a terrific fight, full of action through all 10 rounds, a rarity for heavyweights. Jennings won the close verdict and picked up the Pennsylvania State Heavyweight Title in the process. More importantly, he won the fight on national TV, and made his name by showing his willingness to seize an opportunity and back it up in the ring. In his next start, Jennings managed to top himself. He pounded former heavyweight champ Sergei Liakhovich, and stopped him after nine rounds. The Brooklyn bout proved Jennings was one to watch. Jennings continued to impress. He won the USBA title with a shutout of Steve Collins in June at the Prudential Center in Newark, NJ, and returned to the venue for a 35-second blowout of Chris Koval in September. Jennings finished his year with a bang before his North Philly hometown fans, with a thudding KO of Bowie Tupou at Temple University. 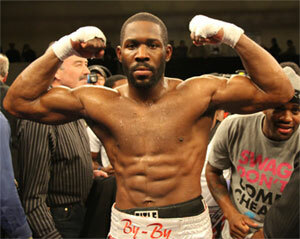 The victory retained Jennings' USBA title, and pushed him up to the #4 spot in the IBF rankings. 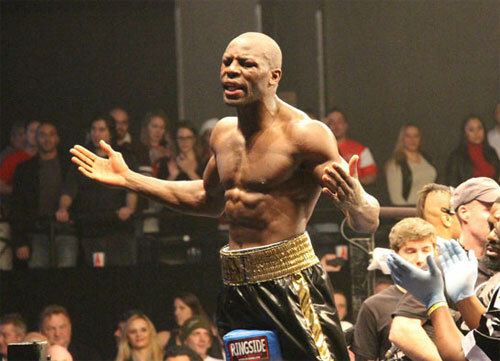 All five of Bryant's 2012 fights were televised, four by NBCSN, and one (Koval) by Wealth TV. He starts 2013 at 16-0, 8 KOs, and in a very different place than he was 12 months ago. 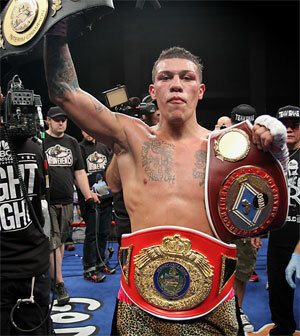 GABRIEL ROSADO, North Philly junior middleweight, put it all together in 2012. After six years as a popular attraction with a lot of potential, Rosado suddenly looked like a future champion in 2012. It all started on the same January NBCSN show that served as Bryant Jennings breakthrough platform. That night Rosado became the first man to stop tough gatekeeper Jesus Soto Karass (TKO5). Gaby did the job so impressively (so brutally) that the TV audience and NBC wanted to see more. NBCSN ordered up another Rosado performance and provided an extra date of the Fight Night series to make it happen. In June, Rosado halted slick southpaw Sechew Powell in nine rounds at the Sands Casino Resort in Bethlehem, PA. Once again, this was a new Rosado, in concentrated form. He was a dangerous pressure fighter working for the knockout who effectively used his size, power and conditioning to fight his way into the title picture. Rosado picked up the WBO Continental Americas 154-pound title with the win. Already in the IBF rankings, Rosado began climbing quickly after this night. His third and final fight of the year was back in Bethlehem, and back on NBCSN. The fight was a 12-round IBF title elimination fight for the #1 spot in the ratings and a mandatory shot against champion Cornelius Bundrage. His opponent was the veteran Charles Whittaker, unbeaten in eight years and 14 bouts. Whitaker was a tough nut to crack, but Rosado lower the boom in the tenth round. Instead of waiting for his shot at Bundrage, which would clearly take longer than the mandated six months, Rosado elected to challenge phenom Gennady Golovkin for the WBA & IBO middleweight championship on January 19th. The risky move showed Rosado's confidence and willingness to fight the best, as did his refusal to accept the catchweight offered to him. He's been doing this his whole career, but in 2012 the rest of the country was finally let in on the secret. In addition to Danny Garcia's three world title bouts (W12 Morales, TKO4 Khan, KO3 Morales), five other Philly fighters fought for world titles. West Philly's Steve "USS" Cunningham attempted to take back his cruiserweight crown with a February rematch with Yoan Pablo Hernandez. Cunningham dropped the unanimous decision and in the aftermath, decided to move up to the heavyweight division. Garcia becomes the WBC junior welterweight champion with a unanimous decision. An unusually lackluster Hopkins finally seemed to be at the end of his glorious line as an A-list fighter. As he'd done with so many young fighters, Hopkins couldn't hypnotize Dawson, but managed the feat with one of the three judges, who scored the fight even. The ageless Hopkins will fight on however. North Philly's Teon Kennedy faced Cuban phenomenon Guillermo Rigondeaux for the WBA junior featherweight title in Las Vegas on the big Manny Pacquiao - Timothy Bradley PPV card. Teon fought relatively well but found himself in with one of the sport's very best. Gutsy Teon climbed off the canvas five times, and was ready for more, but the bout was stopped in the 5th round. Undefeated Mike Jones, North Philly, was brutally knocked out by Bailey in a fight for the vacant IBF welterweight championship in Las Vegas. Most thought Jones had this one in the bag after winning the first nine rounds, but you can never count out a huge puncher like Bailey. Bailey floored Jones in the tenth and finished the job the following round. 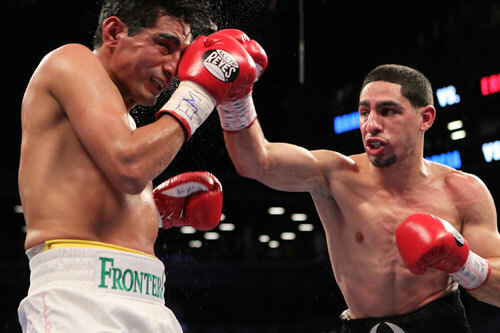 Garcia retained his WBC belt and won the WBA & Ring Magazine straps in this action-packed war. 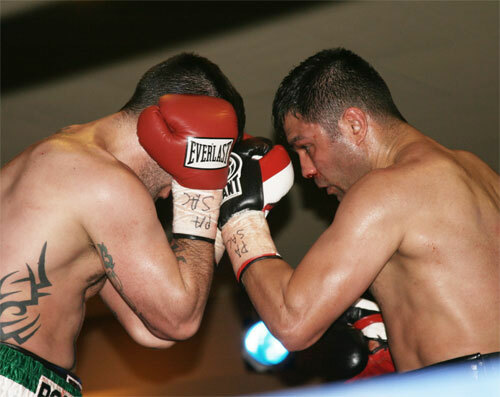 Garcia retained his titles with a picture perfect left hook KO of the boxing legend. West Philly's Yusaf Mack, a former light heavyweight title challenger, dropped down to 168 to face the formidable Froch for the IBF super middleweight belt. Mack was a massive underdog and the odds turned out to be correct. Froch floored Mack in round one and ended the fight in the third. From the opening bell, this one was a barn-burner, with Farmer the aggressor and Witherspoon the jabbing boxer. They went at each other all night, and Farmer came out with a terrific upset win. Rosado broke through with this brutal beat down. A little too one-sided for "Fight of the Year" consideration, but still an important and exciting prize fight. After ten tough rounds of consistent action, Jennings won this battle of undefeated prospects by a whisker and hasn't looked back since. An excellent heavyweight fight that broke the mold with non-stop punching and excellent conditioning. This was a rematch of their January first fight, and it was bigger and better than the original in every way. Ocasio & Sosa picked up where they left off and produced a high-energy, give and take brawl that was gritty and entertaining the whole way. It didn't take long for this one to heat up. Once again a jabbing Witherspoon had to fight off another aggressive puncher (like Farmer). It was a grinding fight with Ellis stronger at the finish where he pulled out the win. Enigmatic West Philadelphian Eric Hunter breathed new life into his career with a brilliant schooling of tough and undefeated Jerry Belmontes. Hunter fully bloomed and showed his stuff in this very high-level, well-matched fight. This was a very good boxing match. Jennings picked himself off the floor to crush Tupou with a booming uppercut in round five. It was an exciting heavyweight fight with a real heavyweight ending. Philly relied on nearby venues to provide much of the action in 2012. Although a disturbing trend, the fights at these neighboring sites were top-flight. Really Joey Eye's fights at nearby Harrah's Chester have become the replacement for the Blue Horizon. The only problem is the venue is just outside Philadelphia's boarder. Still attending these shows are just a quick ride away. Eye produced three boxing shows and all three main events were excellent. Thrilling club fight classic was all action war with the BAM light heavyweight belt at stake (pictured above). Old school road warrior Smith takes young gun Ferrante to school and wins the PA State light heavyweight title. Undefeated but somewhat untested Nelson proves he is the real thing with his 10-round win over Philly's favorite blood and guts brawler, Vasquez. Nelson wins PA state lightweight belt. Thanks to NBCSN Bethlehem bloomed as a major fight venue. Their new Events Center is the perfect place to watch a fight. Rosado is big, brutal and beautiful in chopping down the slick lefty. Cruz thrills his hometown crowd with a sophisticated chess match victory over the talented and temperamental Brewer. Rosado becomes #1 with a methodical beat down. Whittaker was cagey, but Rosado was just too strong. Smith surprises Cruz and dishes him his first defeat before his hometown crowd. Cruz fought hard and learned a lot, but had to pay some dues in this one. Great fight, terrible decision. Cunningham fights the perfect fight to avenge a prior defeat to Adamek, but gets seriously jobbed by the judges. Dramatic, important and exciting. As usual, Atlantic City casino provided much action for the Philly boxing scene. Spivey stopped the unstoppable Vasquez for the vacant NABA light weight title. The stoppage was too quick, but Dorin was on course to win anyway. Cruz struggled but won clearly against the dangerous Conyers. Mack out boxed Sheika in an entertaining fight. Mack boxed while Sheika body punched and tried to make it a brawl. Lundy blew his #1 ranking and mandatory contender status with this grueling loss to Beltran, who pinned Lundy on the ropes all night and pounded away. Lundy made it competitive with many thinking Hank had at least earned a draw. Mundy extends Majewski in a spirited rematch full of action. Majority decision for Majewski was much tougher than the first fight. One of the best brawls of the year. These young rising prospects went to war. BAM Boxing brought a fight to the Newtown Athletic Center in a highly experimental suburban boxing show. The crowd was disappointing, but the main event was a beauty. What figured to be a tactical chess match turned out to be one of the best KOs of the year. Robinson turned killer and took out the old veteran. Steve Cunningham and Eddie Chambers both found themselves on the short end of a controversial decision against the same man, Tomasz Adamek. Both fights were dramatic encounters, and it's difficult to select which of the two was the bigger outrage. It should be noted that Adamek was not at fault here. He always puts in an honest night's work, and fights his best. However, these were still the two most annoying Philly fights of the year. In June, Eddie Chambers took on Adamek on Tomasz' home turf of Newark, NJ's Prudential Center. As round one wound down, Chambers threw a left hand that tore his biceps muscle. Instead of packing it in, Chambers constructed a most fascinating one-armed style over the next eleven rounds. He continued to slip and slide masterfully, as he usually does, but had to find a way to mount an offense without his best weapon, the left jab. Chambers switched back and forth from orthodox to southpaw. He jabbed with his right, and jumped back to fire a power shot with the same hand. His left did nothing more than block Adamek's occasional punches for the remainder of the fight. Adamek pressed the action, and swung at his addled foe, but mostly caught air. Chambers was gutsy and brilliant, and Adamek was mostly frustrated. Punch Stat numbers showed that Tomasz landed just 15% of his punches. Yet when the scores were read, he somehow had taken the unanimous decision. The loss was disappointing for Chambers, but it prompted him to make what seems to be a smart career decision. Once his arm heals completely, he will return to the ring as a cruiserweight. He'll only have a few pounds to cut to make the 200-pound limit. So the move should be a breeze. Chambers is expected to return in February or March. Six months later, newly minted heavyweight Steve Cunningham took on Adamek in a rematch of their classic cruiserweight contest of 2008. It was just the second time Cunningham fought at the higher weight. Most felt that the rematch just two fights into Cunningham's heavyweight campaign would seriously favor Adamek, a comfortable heavyweight for years now. However, Cunningham fought a near masterpiece against his old foe, and crafted a brilliant fight. Adamek was strong in the first two rounds as well as the last two, but it was all Cunningham in between. At worst, Cunningham won 8 of the 12 rounds. Adamek flurried effectively in the final 10 seconds of most of the rounds, a tactic that apparently swayed the judges. Tomasz escaped Bethlehem, PA with his very own Christmas miracle, a split decision victory. The win earned him the #2 spot in the IBF, and set him up for a final eliminator to become the #1 and mandatory challenger for Wladimir Klitschko. The bitter loss was a stocking full of coal for Cunningham, but he probably won more fans and received more goodwill than he's seen in his entire career. The fight was broadcast on an old fashioned Saturday afternoon NBC network telecast, and was watched by millions. Cunningham may not have gotten the decision that he deserved, but he proved without a doubt that he is a true heavyweight and at 36, has plenty more to do in the sport. A number of young Philly fighters garnered attention as the next wave of local talent to watch. Only some of them made their debuts in 2012, but all of them made an impression. The amateur star turned professional and ended the year at 2-0, 1 KO. He signed with Peltz Boxing after his first fight, and figures to make a race to the top of the 130-pound division. He looks good so far, which is no surprise. This little bantamweight killer finished his second year as a pro at 6-0, 3 KOs. Miguel, who was truly a great amateur, looks like a future champ, although his matching has been fairly safe thus far. He's exciting to watch and has the attitude to build a fan base. Son of the former title challenger Tyrone Sr, Junior is also a southpaw. He turned pro in February and won a total of two easy bouts (2-0. 0 KOs). The son of Philly legend, Cyclone Hart, Jesse "Hard Work" Hart was another of Philly's recent amateur standouts. He's part of the strong D&D Management stable, and was signed by Top Rank right out of the gate. Super middleweight Hart turned professional in June on a Manny Pacquiao undercard, and won a total of five bouts in 2012 (5-0, 4 KOs). He looks like a lock to win a title sometime in the future. Hardly a new face to Philly fight fans, Hunter turned pro back in 2005 after an amazing amateur career. "Outlaw" seemed a sure bet to fly up the pro ranks, but his career was marred with streaks of inactivity and soft competition. He never seemed to achieve his potential, but still built a solid record through 2010. Hunter won an easy comeback fight in July and then had the best performance of his career in December when he defeated then-undefeated Jerry Belmontes by masterful 10-round decision. The win looked like a turning point in Hunter's 17-2, 9 KO, career. Let's hope it was and that 2013 will be a big year for him. A pro since 2011, Nelson moved down a division to lightweight and took on Philly tough guy Victor Vasquez for the PA title. He'd never gone more than six rounds prior, but Nelson handled the 10-round distance in stride and withstood Vasquez' signature heat of the battle just as well. Their fight was excellent, and Nelson proved that he really has the stuff. He followed up this with another mature victory (W8 Osnel Charles) in December. 2013 should be a pivotal year for Nelson, now 9-0, 1 KO. This welterweight is also no new face, but he received a real facelift in the past year or so. Starting with his comeback fight in 2011, Robinson, 14-2, 6 KOs, has looked renewed and extremely capable. He fought twice in 2012, beating the dangerous Doel Carrasquillo, and scoring a stunning KO of Terrance Cauthen. Injury and a management shift kept him idle during the second half of the year, but Robinson should be back in the mix before long. Junior welterweight Young turned pro in May with a fan-friendly win, but then immediately began paying his dues in extremely tough fights. He finished the year 2-1-1, 1 KO, but impressed us with his thrilling style. His TKO loss to Emanuel Colon in September was described as a little Thrilla in Manila. Young came up short in the grueling battle, but rebounded with a KO before the end of the year. We should find out in 2013 which way his career will go, but one thing is for sure, either way he is someone we want to watch fight. A number of Philly favorites stayed active in 2012, but mostly treaded water during the year. All five of these fighters are still punching and poised for a good 2013. After going 1-3-1 in the past two years, Jamaal Davis had an terrific year. He won two bouts in 2012, and looked good doing it. After almost one year off, Davis defeated Eberto Medina (5/19) in a rematch of their 2011 draw, and followed it up with a very strong showing against heartbreaker Doel Carrasquillo in June. Davis looked renewed and ready for more. Next up for Davis is a main event with Patrick Majewski in February. Ennis rebounded from his first loss with a trio of 2012 wins, beating Grover Young (TKO5), Shujaa El Amin (W10) & Richard Pierson (W10). The Pierson fight was a real challenge and was Ennis' ESPN2 debut. The Quiet Storm should make a move in 2013, although as yet he has nothing scheduled. The Executioner lost his only fight of the year when he was out-boxed and out-worked by Chad Dawson in a WBC light heavyweight title bout in Atlantic City. Nowhere was Hopkins' uncanny ability to hypnotize his opponent, or his usual advanced-age chess mastery. In this fight, he finally looked like the end was near. But as we've learned watching Hopkins, his career is not over until he says it is. The majority decision loss only slowed Hopkins' roll. By the end of the 2012, Hopkins announced that he would challenge IBF 175-pound titlist Tavoris Cloud in March. West Philly's road warrior stayed close to home through much of 2012. He beat Quinton Rankin (W6) in Philly, won the PA state light heavyweight title against Tony Ferrante (W10) in Chester, and lost a 10-rounder to Umberto Savigne in a Florida road trip. The Savigne fight was for the WBA Fedelatin 175-pound belt. Philly's answer to Arturo Gatti kept fighting in 2012, and like Gatti, wins or losses didn't really matter when it came to drawing crowds and pleasing fans. Vasquez went 1-2 in the year. He looked great beating Paul Fernandez in a rematch (W6), between losses to Dorin Spivey (TKO by 7) in February and Naim Nelson (L10) in September. The Ultimate Warrior won two bouts in 2012, TKO3 Pedro Martinez & KO12 Andres Taylor. The Taylor fight was a big event in April, with Wilson defending his USBA cruiserweight title and winning the NABF title with the same KO. However, Wilson remained idle for the remaining 8 months of the year, while playing the political waiting game. He was scheduled to fight an IBF title eliminator in December, but that bout was pushed off to February. Wilson built a lot of momentum in the past few years, but in 2012, that momentum slowed a bit due to that ratings chess game. If Wilson can win his February eliminator in Romania, 2013 could be a big year for him. The final bell rung for middleweight Jesse Smith (1/22) (above), light heavyweight Will Taylor (3/04), welterweight Tommy Marciano (4/23), boxer & personality Bobby Morgano (4/25), manager Rob Murray (6/03), judge Richard Hopkins, Jr. (8/04), light heavyweight John Calcinore (8/10), and trainer Willie Folk (9/04). 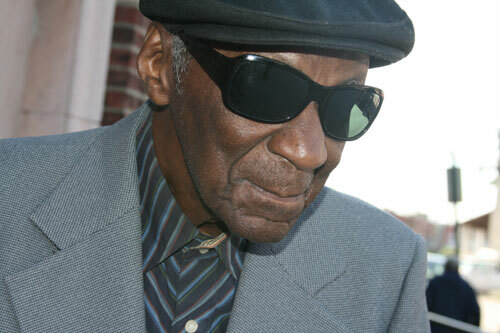 Johnny Carter, Jesse Smith, Dorsey Lay (above), Eddie Corma, Joe Rowan, Steve Little, Frank Moran, Nigel Collins, and Joe Hand Sr. were all inducted into the Pennsylvania Boxing Hall of Fame in May.